Home 3D Information LED How to Buy 3D TVs ? How to Buy 3D TVs ? We have been seeing these devices for the last couple of years, promising an immersive experience to users. In January 2010, at the annual Consumer Electronics Show in Las Vegas, this category got the boost that was needed to put it onto the consumer market. This category is now ready to enter our homes and not just be a promise for the upcoming future. We are talking about 3D TVs. Since mid-2010 we have been seeing a lot of the major players in the HDTV segment rolling out their 3D TV models. Samsung got the ball rolling with its C7000 and C8000 series of LED LCD 3D TVs followed by Sony launching the Bravia monolithic 3D LCD TVs. The advertising is as always, exaggerated, depicting ballerinas or butterflies coming out of the flat screen 3D TV to stress upon the USP of immersion. So I set out in search for the perfect 3D TV that money can buy. Three brands - Samsung, Sony and Panasonic have been pushing forth their 3D TVs in the Indian market quite aggressively. A visit to the nearest consumer electronics store will not suffice for you to see all the models as this is still a very niche product category, and a very pricey one at that. At most you will get to see a couple of 3D TVs on display, and you have to really grill the customer care executive, to know about more models and other brands. Another sad thing we noticed was the absence of 3D glasses accompanying the 3D TVs on display. You will have to request for a pair of active 3D glasses to see the TV in full 3D glory. At other times, a 3D TV will have standard 2D content playing on it such that it merges with the other LED / LCD / Plasma TVs. So keep a look out for that 3D logo on the TV’s bezel sticker. Samsung has used the LED LCD technology for most of its models and there is one LCD 3D and one Plasma 3D model as well LG has stuck with LED LCD technology for its 3D TVs. Sony uses the LCD technology in its Bravia line of 3D TVs while Panasonic has Plasma 3D TVs. All the brands start from 40 inches and go up to 55 inches in case of the LED LCD 3D TVs whereas Panasonic has products going all the way to 65 inches. One major advantage Samsung has over all the other brands is the manufacturing unit, which is located in India. This gives Samsung an upper hand as far as pricing goes. Since we still don't have 3D broadcasts here, we are assuming that the 3D content watched on the TV will be from a 3D HD Blu-ray player, which involves an additional investment. But fret not, you can view your 2D content on the TV without any hitch and do all the things that you would on your normal HDTV. Also Samsung has enabled all its 3D TVs with the option of converting 2D content to 3D by the press of a button. Most of the showrooms that I went to, had Samsung and Sony Bravia 3D TVs on display. 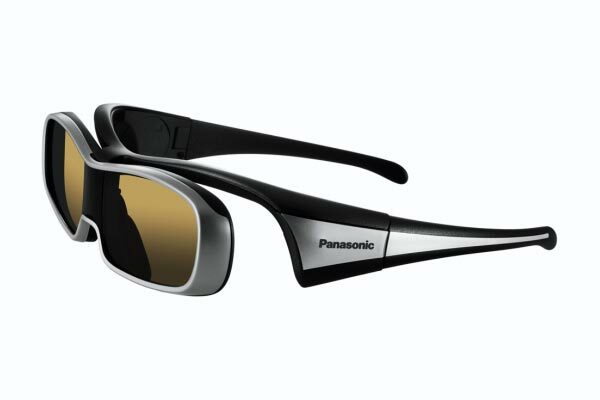 Samsung Panasonic TY-EW3DlO active shutter 3D C7000 series' glasses 40 inch model sells for Rs. 1,20,000 whereas the 46 inch is priced at Rs 1,56,000. The higher C8000 series 46-inch model is available at Rs. 1,75,000. All these TVs come with a single pair of active-shutter 3D glasses. All of them come with four HDMI 1.4 ports, two USB ports but none of them ship with a HDMI cable. So factor in the additional cost of the HDMI cable, if you need it. The Sony Bravia HX800 line starts with 40-inch models priced at Rs. 1,20,000 whereas the 46-inch model costs Rs. 1,60,000. It again comes with four HDMI 1.4 ports. 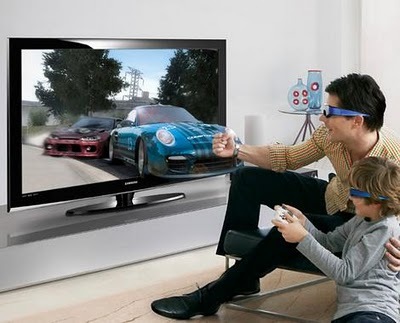 Sony bundles in two pairs of 3D glasses with each TV which is quite good. Now, I keep having heated debates and discussions with the guys about the latest technologies in the market. In one such session, someone mentioned something interesting. He had been to the launch of Panasonic’s 3D event called Dimensions in Mumbai (you can read about the event here: http//bit.ly/akV6Rn) few months ago, where he got a chance to watch 3D content on a 65-inch screen. He was quite impressed by what he saw as they had displayed a Panasonic Plasma 3D TV beside an LED LCD 3D TV, which gave him a quick comparison. Tilting your head on the side, is one thing you should do with any 3D TV, as he said that in the LED TVs the brightness changed as you tilted your head sideways. Note that tip. I did not get to see any other brands in the multi-brand showrooms I window shopped at, so you will have to check out dedicated showrooms to get a first-hand experience of the 3D capability of the TV. Be sure to bargain for an extra set of active shutter 3D glasses, as it costs Rs. 4,000 in the market. Scarcity of 3D content is one of the major points to ponder on before you make a purchase. The whole 3D eco-system - involving shooting, editing and broadcasting in 3D¬will take at least a couple of years to become mainstream. However, Panasonic while launching its 3D range of products, had given clear indications that it is working with Bollywood and TV production houses to create 3D content for consumption on a 3D TV. Till then you can enjoy 3D content off a compatible 3D HD Blu-ray player. Your Sony PS3 is also capable of playing 3D Blu-ray content with a firmware upgrade. I would like to conclude by saying that as far as 3D TV is concerned, bigger is better. So go for a large screen to get a complete immersive experience.